The academics of government can seem very theoretical when studying at school. The subject is very interesting, but without hands-on experience, it can all seem distant from your life. That quickly changes when interning with the United States Coast Guard. I was lucky enough to have the opportunity to work in the Commercial Vessel Compliance (CVC) division at Coast Guard Headquarters and got to see government in action as I worked side-by-side with active duty Coast Guard officers to help create and change maritime policy. Pictured Right: Mr. Papas practices the radio controls for his Telecommunications Operator and Watchstander qualification at Station Washington. As an intern, I got a wide variety of job experiences. I did important research on vessel security measures that directly led to a change in the policy. I interacted with vessel owners and operators by drafting letters to tell them what they needed to do to keep their ships in compliance with the law. I got to test new software systems and become thoroughly acquainted with old ones. Coolest of all, though, was the work I got to do in the field. I experienced a great lineup of training at Station Washington, completing my Auxiliary Telecommunication Operator (TCO) course while practicing my Watchstanding skills. Standing watch in Washington is a really unique experience because you never know what you’re going to end up doing. I was on the radio with one of the patrol boats as it completed a security patrol for the President’s transit to Andrews Air Force Base for an upcoming international trip. 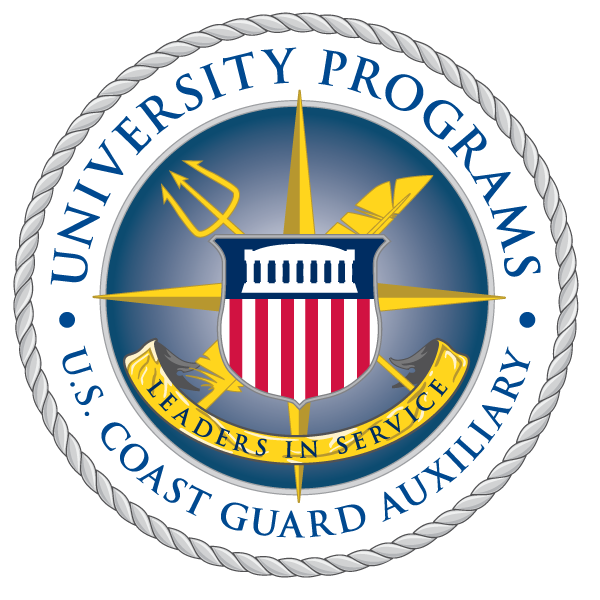 For an intern, even such a small role in an important mission like that is what Auxiliary University Programs are all about. Pictured Left: Mr. Papas on patrol during summer training. I also visited Sector Baltimore to apply my new-found office knowledge to field work when I accompanied members of Sector’s Marine Inspection team on their trips. I shadowed them as they inspected a T-Boat (a nickname for small passenger vessels under 100 tons that comes from the Code of Federal Regulations), and, on the complete opposite end of the spectrum, two 600 foot roll-on/roll-off cargo carriers. It felt great to be able to assist the inspectors as they went about their jobs, following along with what they talked about and providing what I could thanks to my on-the-job training back in the office. My summer was filled with a lot of unique experiences that I couldn’t have received anywhere other than the Coast Guard. I learned so much about the shipping and boating industries and the interaction between the government and the private sector, and that is knowledge that I can take with me and apply almost anywhere I want. The most important thing I learned, however, is that the United States Coast Guard and its great people will always be semper paratus, whether on the dock or on the water. That, and watch where you step on a ship. Pictured Right: Mr. Papas receives the Auxiliary Commandant's Letter of Commendation from LCDR Steven Keel of CG-CVC-1 at Coast Guard Headquarters.